Today I'm going to talk about the importance of focus and concentration while you practice. 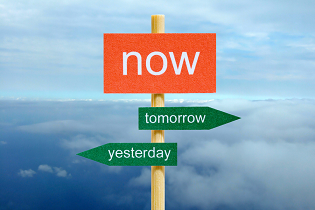 Being focused is generally about being present on the task at hand, in the current moment as opposed to thinking about the past or future. We all know how critical focus is during competition, but it's during practice where we influence the quality of our practices depending on the state of our mind. Two players could be doing the exact same practice routines with the same opponent, but one player could improve more from an identical session. Today I will give you some tips on how to enter this deeper focus level in practice more consistently so you make the most of every minute and every shot. I've worked with a lot of kids and finding ways to get them all to be engaged for as much of practice as possible can prove to be challenging. As we get older and improve our ability to maintain our focus and also learn how to get into the zone quickly this becomes less of an issue. For some kids this can be quite a challenge. I find that this happens most when the kids are doing something quite simple or too difficult. We need to be challenged to improve, but for a kid or someone new to the sport this can be a delicate balance. If we ask too much of someone or put them on court with someone much stronger or weaker there can easily be a loss of focus and effort is diminished. On the other side of this issue is when the task is simple; let's say drop, drop or boast and drive. Many people even at a high level will just go through the motions and do the drill and are prone to lapses of focus. When someone is given a simple repetitive drill I find that the most coaching is usually required to reap the benefits of it. I will normally work on technique or use a goal and time them or give them a certain number of attempts to keep their concentration high. Again when you do this the number or reps allowed cannot be too high or the time too long or the player is prone to a lapse of focus; this is especially true f they get off to a slow start and know that they can't reach their goal. It takes a lot of time to learn how to get certain players going and keep their practice quality high. I've designed many great practices designed specifically for what people need to work on, but if the kids aren't in the right mindset it ends up wasting everyone's time. When this happens it can be extremely frustrating as a coach, but I've learned that once in awhile you have to give the kids some leeway; they are just kids after all and don't always want to work on technique or something they struggle with. So being able to scrap a practice and do something fun is sometimes the best option. Even when I was playing competitively I would have the odd off day where you're just in a bad mood or not feeling it. When I had an off day I learned that I needed to do something different. Mixing it up might mean going to the gym, doing court sprints, playing 3 corner court, or even playing a nick game. One method for making the most of each and every practice is by having a goal for each and every practice or for the week. Make a plan on what you want to do and work on before you even get to the squash club. You should even decide which drills or condition games you want to play before you get to the club. You should also keep your season and dream goals nearby in case you need that pick me up when you're a bit fatigued or a bit low on motivation. Keeping a journal or having some positive statements to remind yourself anytime you catch your focus drifting could be a big boost. You could also think back to that last match you lost in 5 or about those high ambitions you have for an upcoming tournament. Learning how to stay hungry will help with your work ethic and will keep you more focused during practice day in, day out. Learning how to maintain focus at practice is an essential skill for excelling at squash. Not everyone enjoys just hitting straight drives or doing figure 8's; I always enjoyed this, but I have to realize that not everyone does. Being able to get into the zone for practice is for me the most important trait of an effective, high quality session. I feel that many kids now have difficulty focusing while training because they are always on their cellphones, watching television, surfing the web and often doing all 3 at once! 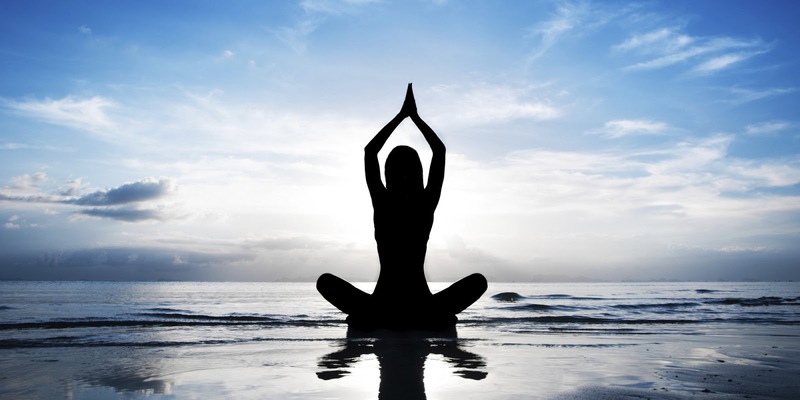 Some off the court training methods for improving focus include yoga, floating or meditation. There is also a test I've seen where there are random numbers scattered throughout the page and you have to find out how many of a certain number are on the page. Puzzles like this one, crosswords or sudoku can all be beneficial for improving sustaining your concentration for a prolonged period of time. There is also a maximum length of time that someone can stay focused for. Just like there is a set amount of physical work we can do at one time the same implies for our concentration. We all lose focus here or there and learning how to refocus is extremely critical, but if you're practicing mindlessly for any sustained period of time don't fight it, just take a break and grab a drink or snack or maybe it's time to change up the drill. I always tell my athletes that the warmup is as much or more for your mental preparation as it is for your physical preparation. Most people skip warmups when they are practicing because they know they can ease their way into it. If you are taking a long time to find our zone in practice I recommend doing a warmup before your practice sessions. This is also why I like scoring in practice to keep it competitive and keep an edge to it. If you find yourself losing focus, simply design a refocusing routine to get back on track. I prefer wiping my hand on the side wall and taking a deep mindful breath. If you focus on your breath you are automatically brought back to the present moment and I find it an effective method for getting my mind back on the right track. Find what works for you and be sure to use it, especially in your practices. If you want to improve faster and make the most out of your practice sessions, learning how to become and stay focused is an essential skill. We all have heard about deliberate practice, so many of us are simply counting our hours until we get to 10,000 yet there are some people that improve faster with equal or less practice time. Practicing more if unfocused in my opinion will make you worse because you get mentally sloppy and lazy and this will influence your ability to stay focused in future practice and competitions. Squash can be an incredibly physically and mentally draining game. Knowing when to take a day or week off, or even just when to mix up your training can ensure you are challenged and ultimately focused. Also understanding that practice doesn't have to always be maximum physical effort for you to benefit from it. Solo hitting is one of my favourite methods of training and I also find the most effective for improving. If you want to improve faster, train smarter and learn how to stay completely engaged for the duration of your practices. If you have to practice less, alter practices, add goals, or just play some fun games you will enjoy practice more and in the end get more out of it. 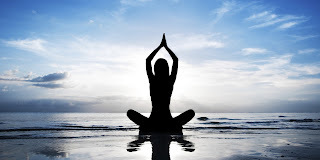 If you still struggle with focus try yoga, floating, meditation, or some puzzles to learn how to quiet your mind and improve your concentration. If you made it through this entire post in one read I'm betting that your focus is already pretty good. Maybe I should write a condensed post for those that need it most! Being able to maintain your focus in practice is a great start, but knowing what to focus on is where your coach can really help you with your game. Just having any focus will improve your concentration. A good bet is you could improve your racquet preparation or spacing so try thinking about either of those the next time you're doing drills and I bet you're focus will improve and you will be practicing smarter! Don't just whack the ball to an area, us a goal, target or focus on your technique to get the most out of your time on court. Improve your focus, improve your practice, improve your game. I know it's been awhile since my last post, but it's been a busy time of year. I have a few interesting topics on the horizon, as I believe this one will be. I can't believe that today is my 200th post! I'm going to talk about the importance and challenges of both discipline and creativity in squash. 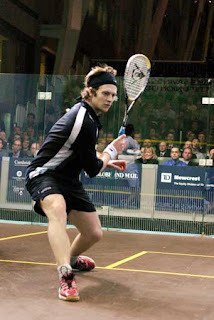 In squash we have players that are very basic, but extremely effective. There are others that look as though they are creating poetry with their creativity and flare and are some of the most enjoyable people to watch. As a coach the challenge is knowing how much creativity to allow and foster in the development of an athlete. For some coaches it may be cut and dry, but I'm somewhere in the middle. You'll hear why shortly. When it comes down to it, almost every player would perform better and will improve their chances of winning if they play disciplined and basic. Most kids like to play tricky shots, but are unable to play the basic and more effective shot, which makes their tricky shot even less effective! 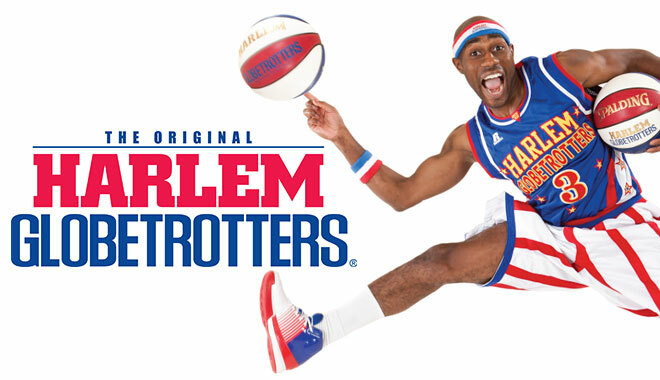 This is why that when I'm working with kids I like to ask them if they want to be Globetrotter or a professional NBA player? 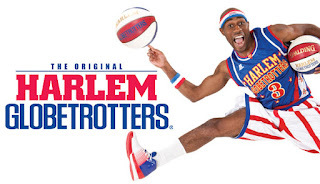 I don't know the stats, but I doubt there are many or any Globetrotters that would be able to make the NBA, but I'm certain they all would like to if they could. This is an analogy that I like to use because many kids like to play flashy and normally ineffective shots. But not the other side of this argument if we look at the NBA there are plenty of basketball players that are creative and do things that are beyond the basics of basketball. These moves were practiced more than likely on the street rather than in a team practice structure and have learned how to play them effectively at the highest level; so tricky and fancy shots can work. So how should you practice your squash game? Basic and disciplined or creative and fancy? Although from the previous paragraph it may sound like the answer is quite simple, that discipline and hard work is the way to go, it isn't quite that straightforward to me. Both a basic disciplined player and a creative one can be equally effective and have a passion for squash. I believe the main issues with this have to do with individual differences. Although I feel that most kids likely need more discipline to become a top level competitive squash player. It takes a lot of time on court and repetition to be able to hit your targets consistently. Also learned while working on your shot repetition and disciplined practice is the training of your concentration. Every squash player knows the importance yet challenge of maintaining their focus for the entirety of a match. I believe that players that have been well disciplined will be better able to maintain their focus during practices and matches. Being in the zone is something that any level of athlete can attain, but takes time to be able to learn how get into it quickly and stay in it for the duration of a match. Simply put, concentration and the zone are skills that have to be developed and I believe they are better learned through a disciplined practice structure. So back to creativity. I think some kids are more engaged when they are allowed to be creative as they initiate more areas of the brain. If these same kids were forced to practice a basic repetitive drill it does not engage them as deeply and I find many will just go through the motions because they find this boring. Finding a balance of both is the key here. Nowadays with so many distractions and stimulation around us (video games, computers, tvs and cell phones) people crave constant stimuli. So I believe the key is to give the kids challenging goals/targets when they practice blocked drills to try and keep them engaged. At a certain skill level most kids will learn to enjoy the simple challenge of hitting 1 shot over and over again as they finely calibrate their swing. Also crucial is setting up practices which foster creativity. Even for the basic disciplined player, some extra thinking within a practice can help them practice out of their comfort zone; which can happen in competition. As a coach I don't like to say 'don't do this or that.' I believe there is a time and place for any shot to be played. But I also realize that making the same mistakes over and over is Einstein's version of insanity! I like a balance of these two. Is the shot something that could become a weapon when it's executed better? Or is the shot just an extremely low percentage and the wrong play? It can be difficult to play creative and potentially risky shots in competition until they are very well rehearsed. Players like Jonathon Power and Ramy Ashour are some of the most iconic and exciting players to watch of all time; they were able to play creative squash, but also did the basics extremely well. What would have happened to Jonathon or Ramy if they had never been allowed to explore their creative sides of their squash game? I think player like Jonathon and Ramy had an understanding of the basics and also knew there was a part of squash that had not been explored before. If I had to guess I would say that they both liked creating a new style all their own as much as they did winning! I think the best way for kids to explore new swings or shots is while they are solo hitting. This doesn't impact anyone else and will not upset the coach. Also, the athlete can attempt a certain shot as many times as they like trying to perfect it. Similar to a skateboarder trying to do a certain trick for the first time and failing over and over. Once the skateboarder gets it they spend hours, days, weeks, months or even years learning how to perfect it. It's one thing to be able to do something in practice and another to be able to do it in competition. Squash is more than just serves, volleys, lengths, boasts and drops. Finding the balance of the basics and the creative ways you can make your own game unique is what makes squash so fun to play and to watch. If we all played the same and only played shot x from position y squash could get pretty boring! Even though shot x might be the right shot almost all of the time, knowing when to play shot z is what makes squash so dynamic and unpredictable. When I went to watch some international tournaments (Penang Junior Open and the Canadian Junior Open) I see a lot of similarities among the kids. Most of the top kids are fast and hit the ball hard, but I see very little variation of pace or deception and a general lack of volleying. I get that pace and speed are two of the biggest weapons in squash, but I'd still like to see more variety from different players. This makes me feel like most kids are being taught and trained the same way these days, but certainly this will only favour some players and not others.